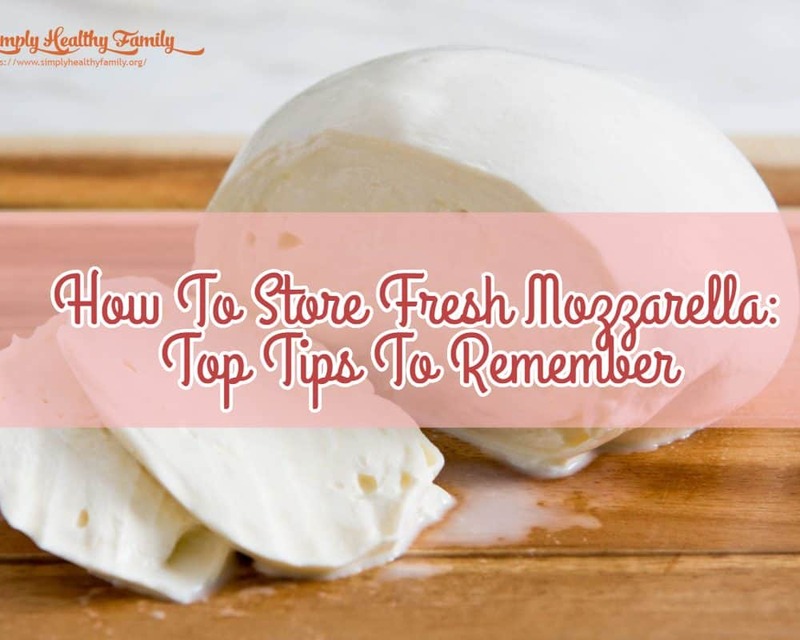 How to store fresh mozzarella cheese? This is a question that I usually hear from people who have little experience in using this famed Southern Italian cheese. Imagine this scenario--- you buy fresh mozzarella cheese in the grocery. But when you get home, you realize that you can’t cook eggplant parmesan because you forgot to buy eggplant! And for some reason, you won’t be able to go to the store in the next few days. So what would you do with your fresh mozzarella? Let me help you. Why is it important to store fresh mozzarella? How to know if mozzarella has gone bad? 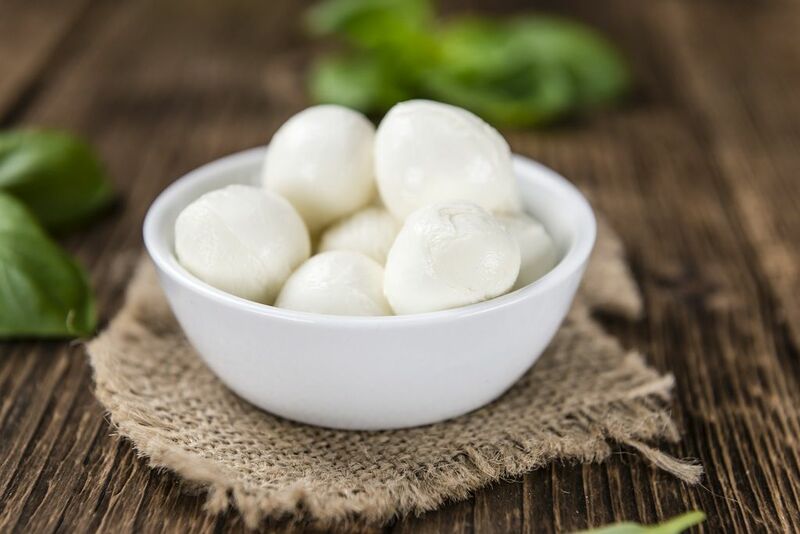 Mozzarella cheese, which comes from water-buffalo milk in Italy, is widely used in foods like pizza and salad. It is a lot different from the regular cheese you buy in the grocery. Its taste can be easily ruined within days if not stored properly. You might have heard that mozzarella cheese tastes like fresh milk. That’s true. But that taste can easily turn bitter and sour if you don’t store the cheese properly. 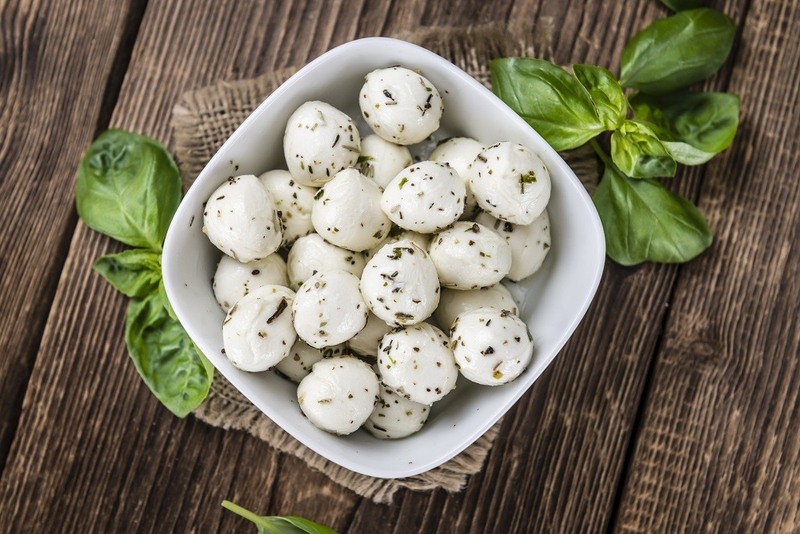 Some connoisseurs warn against refrigerating mozzarella cheese. They say that the cheese texture will suffer, becoming rubber-like and chewy in the process. They add that mozzarella should be eaten on the very same day that it was made. Of course, we all know that it isn’t practical for most homemakers like you. So I’ll share with you several tips and tricks in storing fresh mozzarella. 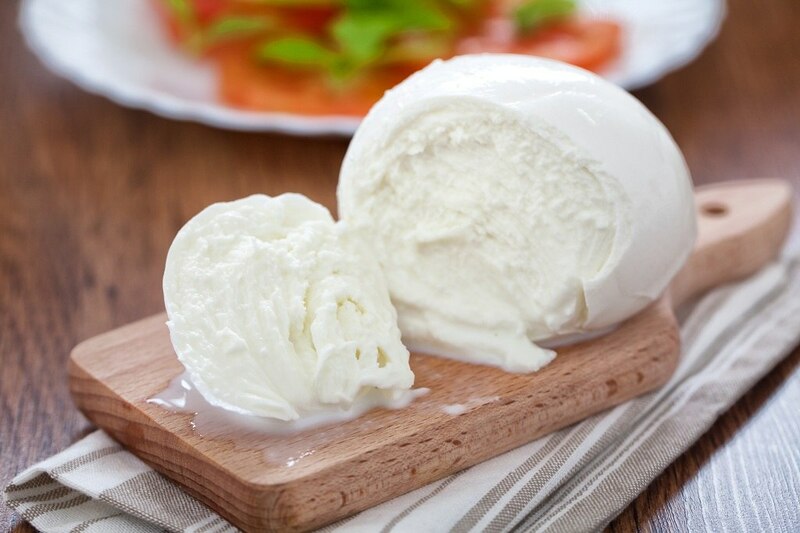 You may be able to buy fresh mozzarella that comes in a container of water. It’s actually whey, a by-product of the cheese-making process. Keep the cheese in the liquid bath and refridge it. The mozzarella should remain fresh and safe to eat within 3 to 4 days. Replace the whey with a brine solution. You’ll need a tablespoon of salt which you have to dissolve in a cup of warm water. You may add more salt if you want the cheese to be saltier. A stronger brine solution, with more salt in it, is a lot more effective in prolonging the shelf life of the mozzarella. It could also affect the texture of the cheese since salt would interact with the proteins found in the mozzarella. You can also place the cheese in a glass or ceramic bowl. Wrap a plastic over it so that the cheese won’t dry out, which can affect its taste and texture. You can also buy fresh mozzarella without water. It is packaged in blocks, like the typical cheese we know. 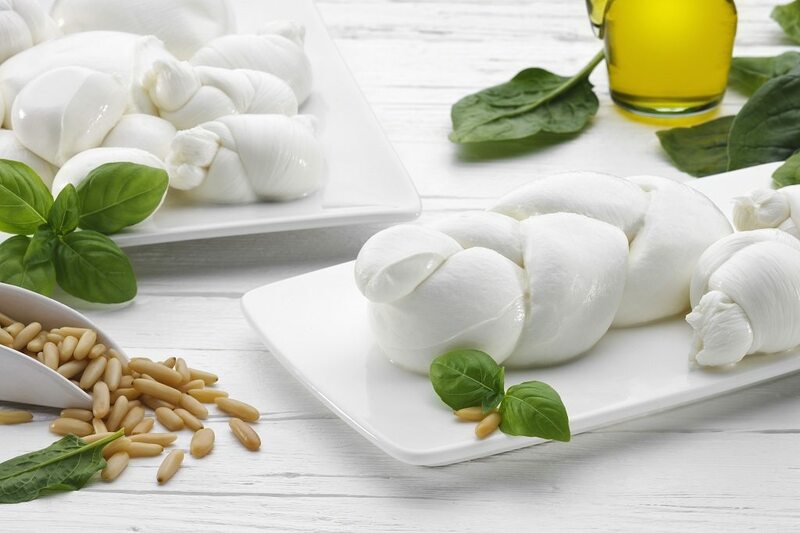 The good news is that this type of mozzarella has a longer shelf life because of the low water content, as well as the processing it went through. Everything will be easier since you only need to store it in the refrigerator. Fresh mozzarella which has been unopened can be refrigerated. It will remain fresh up to three weeks past its expiration date. If you keep it in the freezer, mozzarella in blocks can be safe for consumption up to 6 months after the best-before date. After opening the mozzarella, you can thaw it in the fridge. The cheese is still fresh up to 28 days after you opened it. If you opened the mozzarella blocks, you can put it in the fridge. It should be fresh up to 28 days. It would be better to freeze it, though, as the cheese would remain safe for consumption up to three months. You can then thaw it in the fridge, and use the cheese within 1 to 2 weeks. You may think that checking the use-by date is the best way to tell if the cheese has gone bad. But this is not always the case. The best-before date only tells you how long the mozzarella can maintain its freshness and optimum quality. There are other tell-tale signs that mozzarella cheese has gone bad. The smell is one good indicator. Fresh mozzarella has a light, mild scent. If the cheese smells like sour milk, then it is very likely that it has expired. You can also rely on your sense of sight. Look for traces of mold on the cheese. Mold is usually colored blue and green, so you should be able to find them as mozzarella cheese is colored white. You can also taste the cheese to check if it still fresh. Don’t worry as a tiny amount of stale mozzarella won’t make you sick. If the cheese tastes bitter or sour, then you should discard it right away. Just like any other food, mozzarella can perish if not properly stored. But we all know that mozzarella is incomparable to other cheese when it comes to taste and texture. Thus, you should follow my tips to ensure that you can prolong the shelf life of your fresh mozzarella.